The Safety Centre have introduced a new Emergency Lighting Log Book to their product portfolio. This log book is ideal for people responsible for a buildings emergency lighting system to be able to keep a record of the system. 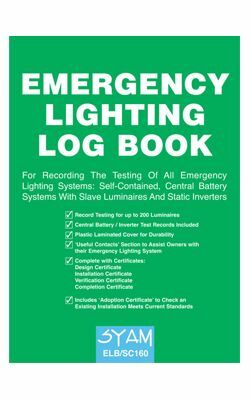 This book is produced by SYAM who are the market leaders in Emergency Lighting Log Books. If you’re interested in this item you may also be interested in our Emergency Light Batteries and LED Emergency Light ranges.